Our machine carries out a unique engineering process which removes all the sludge, varnish and debris that builds up in the engine. Improving the engine’s coefficient of friction allows the new oil to perform to its maximum capabilities. This then has a positive impact on fuel economy, CO emissions, engine performance and drivability. 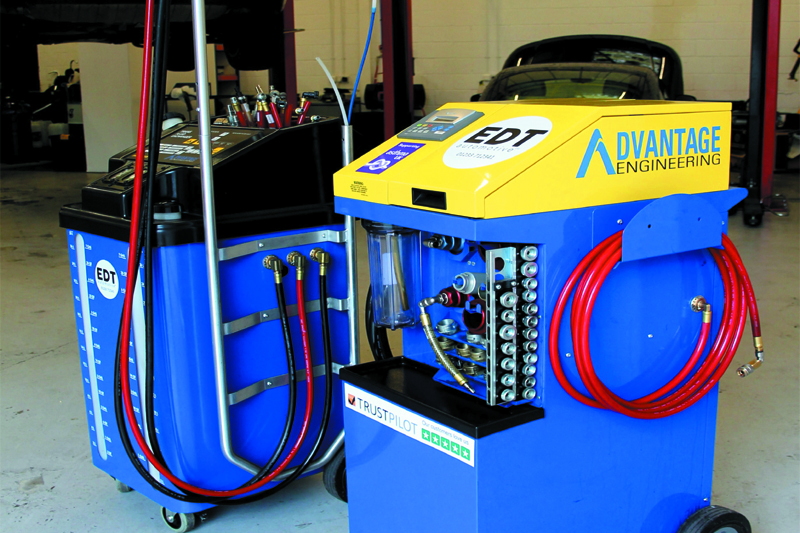 Our engine cleaner device is fully automated and once connected takes less than fifteen minutes to complete a full clean of your vehicle’s engine. It operates using a bespoke mineral oil. We currently have experienced average emission reductions on cars tested of 69% on CO and 58% on diesel smoke, as of September 2015. Together with many testimonials on the enhanced performance and drivability after an Engine Decontamination Treatment (EDT) has been carried out.